A Senate meeting. File photo by Hugo Wong. 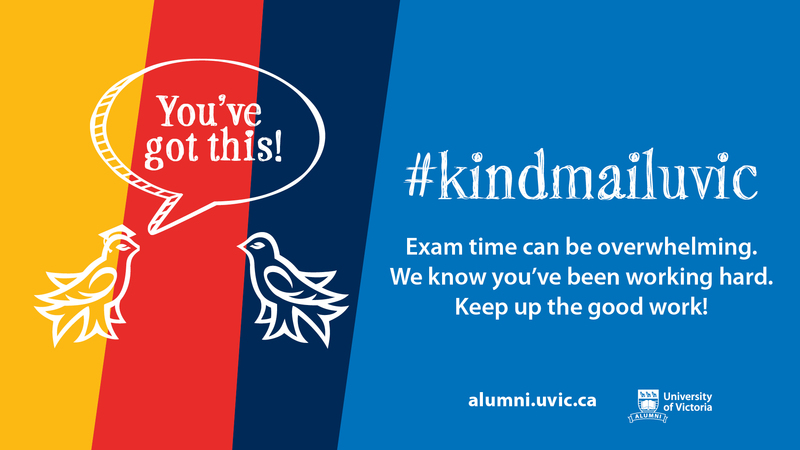 Until Friday, April 5 at 4:30 p.m., UVic students can vote for four representatives who will sit on the University Senate for the 2019-2020 academic year. 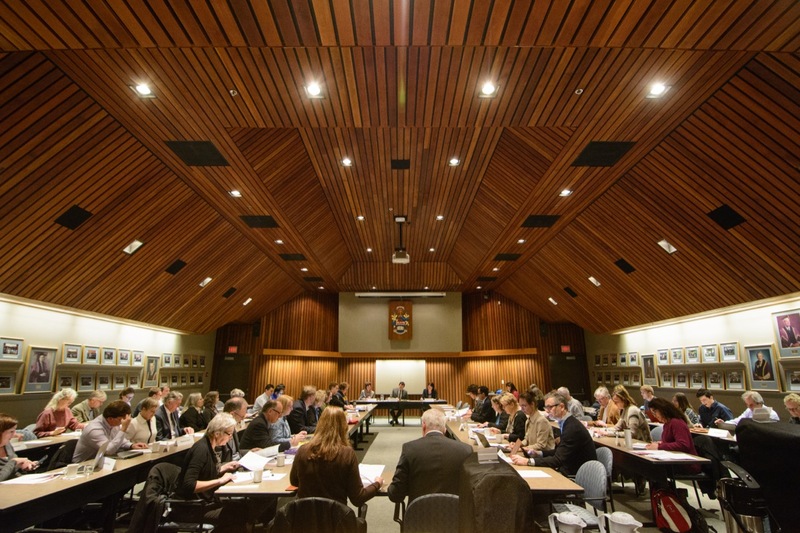 The UVic Senate is the governing body for all matters relating to university academics, making decisions regarding faculties and departments, scholarships and bursaries, admissions, and student appeals — among other areas. The Senate sits eight times per year, and has 12 standing committees that also meet throughout the year. In addition to the 16 ex officio members, 32 elected faculty members, four members elected by the convocation, three additional, undefined members, and the Senate secretary, 16 elected student senators are part of the membership. On Monday, April 1, the Office of the University Secretary held a meet and greet event with those students running for Senate. Though several students were in classes, the Martlet had a chance to speak with a few of the nominees. Afnan Juma is a first-year Biology major who is campaigning for creative science rooms on campus. The University Act requires that student senators come from each faculty, and that three students come from the Faculty of Graduate Studies. Juman notes that these rooms could offer a more creative environment, and provide students with some much needed experiential learning opportunities. “Studies have shown grades increase by at least 10 per cent when learning is done visually,” reads Juman’s promotional brochure. Dawit Weldemichael is a second-year Political Science major who decided to run for Senate because he wants to make a real difference at UVic. Readers might remember Kai Richins as a newly-elected Director-at-Large for the 2019-2020 UVSS Board of Directors, who ran with the Hear UVic slate. Richins made his mark at the All Candidates Forum in February when he pulled from his bag seven plastic bottles filled with cigarette butts that he had collected on campus over reading break. In January, five students were acclaimed (ran unopposed) to the Senate. As such, in February, a second call for nominations was issued to fill the remaining 11 positions. Although student senator is a volunteer position, the Office of the University Secretary notes that there are professional development perks, such as workshops on public speaking and leadership. At the second call for nominations, due to the required allocation per faculty, three additional students were acclaimed to the Senate. This means that there remains eight vacant student seats on the Senate. However, students can only vote for four seats — once again, due to the required allocation per faculty. 10 students are running for these four seats, from the faculties of Engineering, Humanities, Social Sciences, and Science. Following the April election, four vacant student seats on the Senate will remain, reserved for students from the faculties of Education, Fine Arts, Human and Social Development, and Law. A third call for nominations will be held in September to fill those positions. Although student senator is a volunteer position, the Office of the University Secretary notes that there are professional development perks, such as workshops on public speaking and leadership. To vote for the four student senators, visit https://webvote.uvic.ca/gen/. Voting is open until Friday, April 5 at 4:30 p.m.